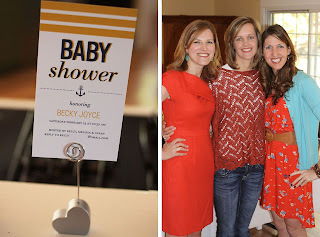 This week I am featuring the nautical baby shower that Melissa of the Larson Lingo threw for her friend Becky. 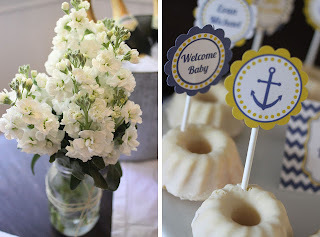 I found Melissa's blog through Blue Eyed Bride last weekend and I am so glad I did! The theme was "Ahoy! It's a BOY!" 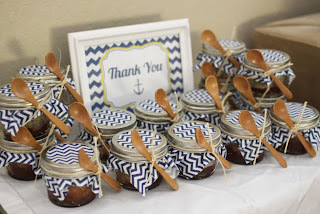 Co-host Kelly made poppy seed muffins with strawberry jam in mini mason jars and attached spoons. 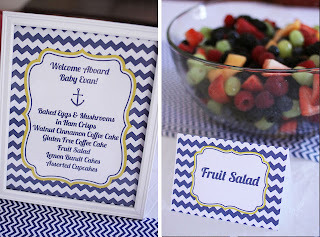 The spoons look like oars, to go along with the nautical theme! 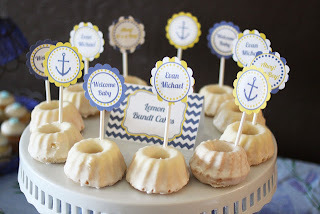 Such cute nautical touches! 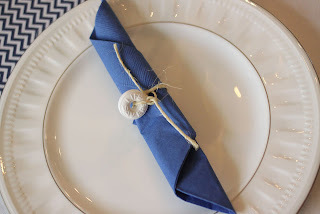 The lifesaver napkin rings are too cute. Adorable. 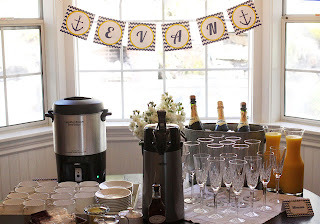 I pinned the lifesaver napkin idea ages ago--so cute.